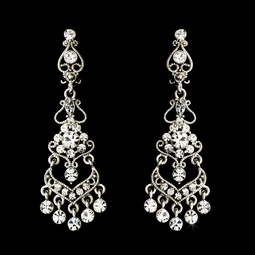 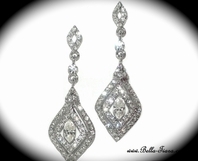 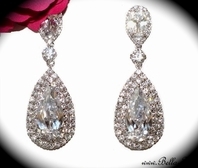 Description: Ornate and sparkling, this gorgeous rhinestone encrusted chandelier style earring is plated in an elegant silver plating, with beautiful flower and vintage design accents that are absolutely breathtaking. 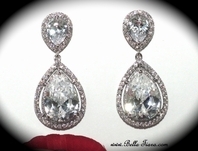 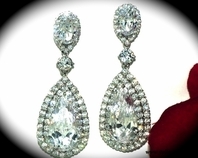 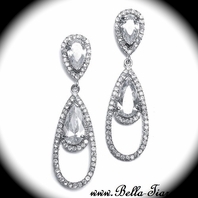 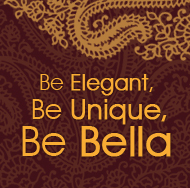 This is the perfect accessory to wear for a wedding, prom, gala event, and many other special occasions! 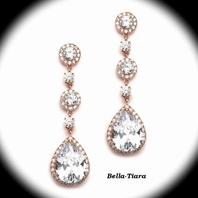 Family, friends, and guests are going to fall in love with this accessory!